For those of you who truly know me, you're going to be flabbergasted to hear that I've started going antiquing. I blame the MIL for corrupting Puff over the years. I'm not into used stuff. It just doesn't do it for me. I like clean, contemporary, modern lines. (Basically anything from West Elm will do.) 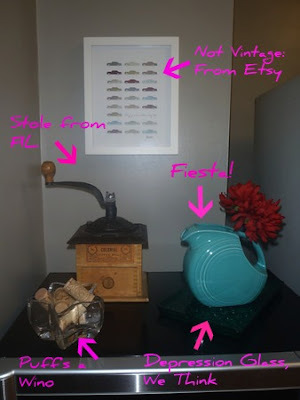 With the exception of a mid-century modern Danish-inspired buffet. If you ever find one of those, I'm in the market. 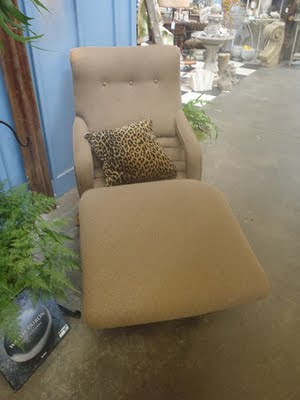 I did also kinda like this weird 1950's lounger we spotted recently in Asheville. Puff was in love, but sadly, we don't have room for any more furniture. (Or did I mean happily?) Plus it had a weird bounce to it when you sat down. 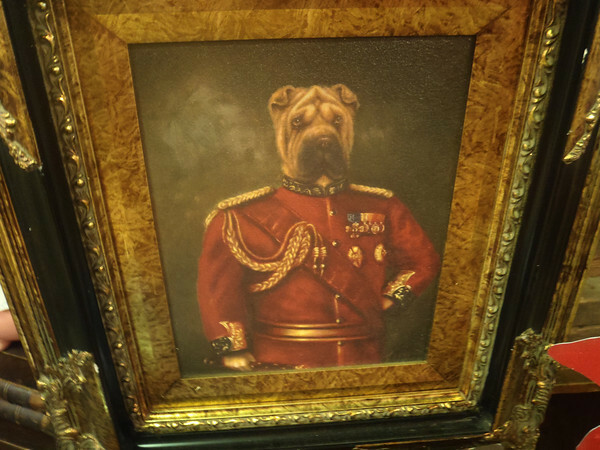 I've noticed that there are a lot of animal wearing clothes items at these antique stores. This gem was found in Landrum, SC, last winter. I have a gut feeling if I really wanted it, I could probably still get it. 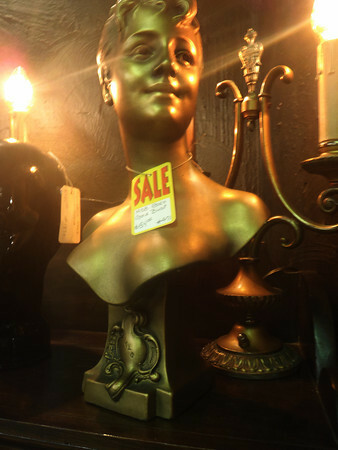 Or perhaps you're in the market for a golden bust of a small boy? Or is it a woman? Perhaps a lesbian? That would make sense in Asheville, I suppose. 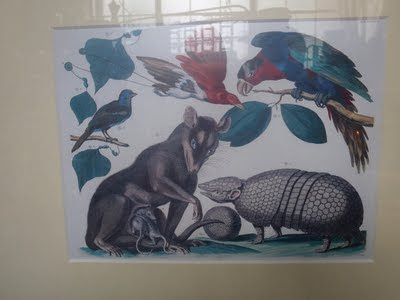 Puff found this painting hilarious. Obviously he had missed the dog/lamb/whatever animal lamp. It's a good thing I don't let him purchase home decor items on a whim. This would clash horribly in The Bungalow. 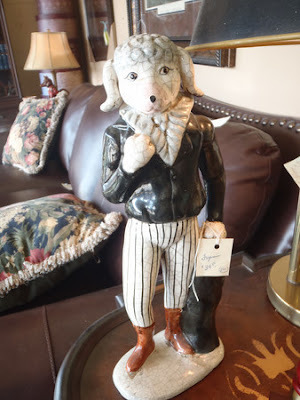 Speaking of creepy, weird, animal related antiques. Are you seriously seeing this painting? I would totally LOVE to meet the person who originally bought this. Or even the person who drew/painted it, because they have got to be one some seriously good drugs. All the antique bashing aside, this is our latest vignette, featured in our newly remodeled kitchen. My beloved Pottery Barn charging station has found a new home in the attic, with the invention of phones/cameras/etc. that don't come with wall chargers anymore. So, when we were antiquing in Waynesville, Ohio, and visiting family in rural Michigan, we picked up a few things with the renovation in mind. Can you please have a "Kimhead, don't read this why eating or drinking... it will cause you to laugh and result in you choking.